Been told this is the place to start this thread. Rather than flood sections with sales posts I'll post links to the latest news sections as I add the to the web site. 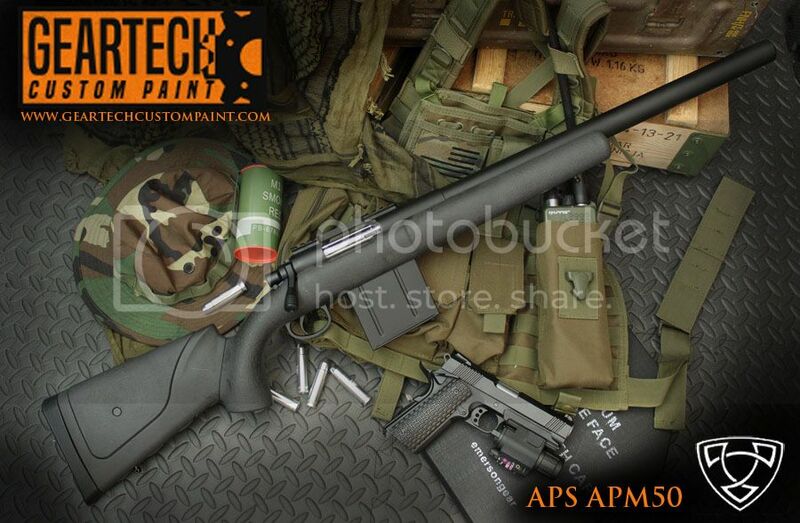 Each lists new or interesting items we have in or details of the latest paint scheme or hydro dipping project. These came in the other day. 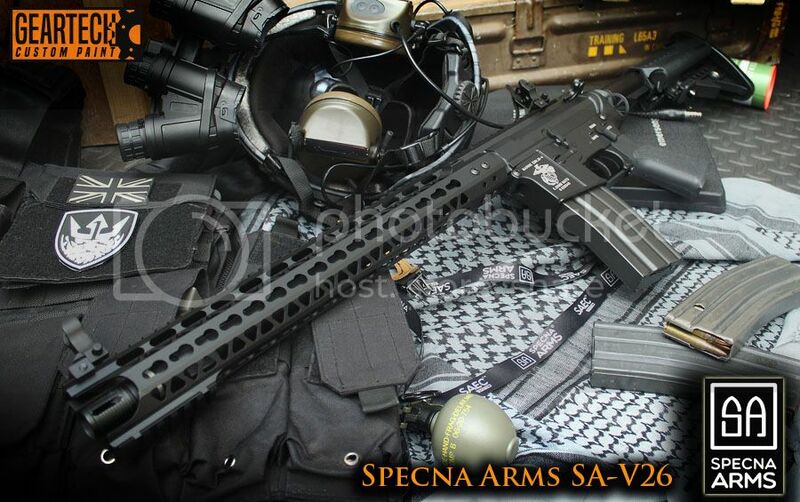 Today I've just had a delivery of the latest Specna Arms models out and finally some support guns. News article coming soon. 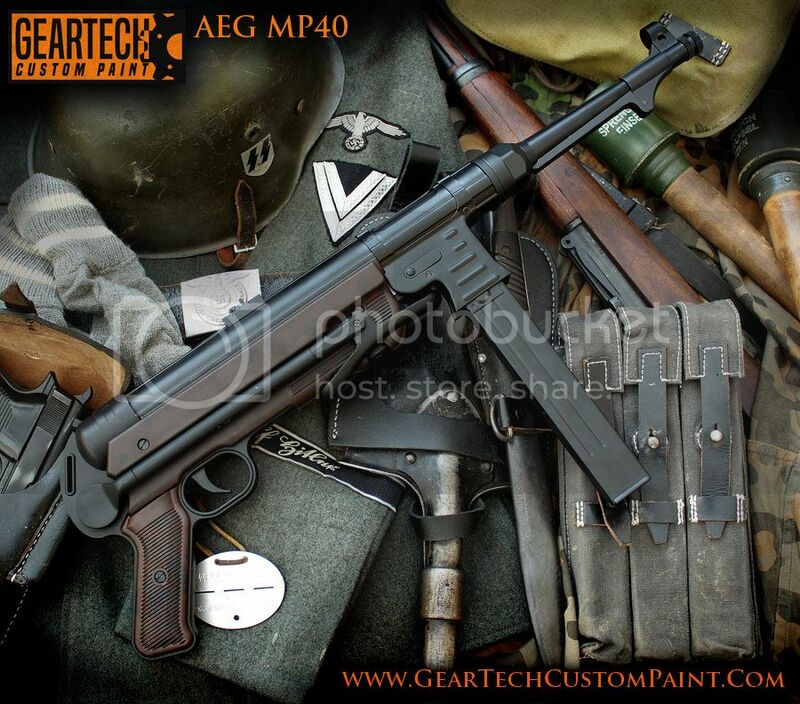 EGLM 40mm cost, is there black version? Only got the Tan version at the moment. Will look into the black one. Much bigger and chunkier than I was expecting. Bits in at the moment. 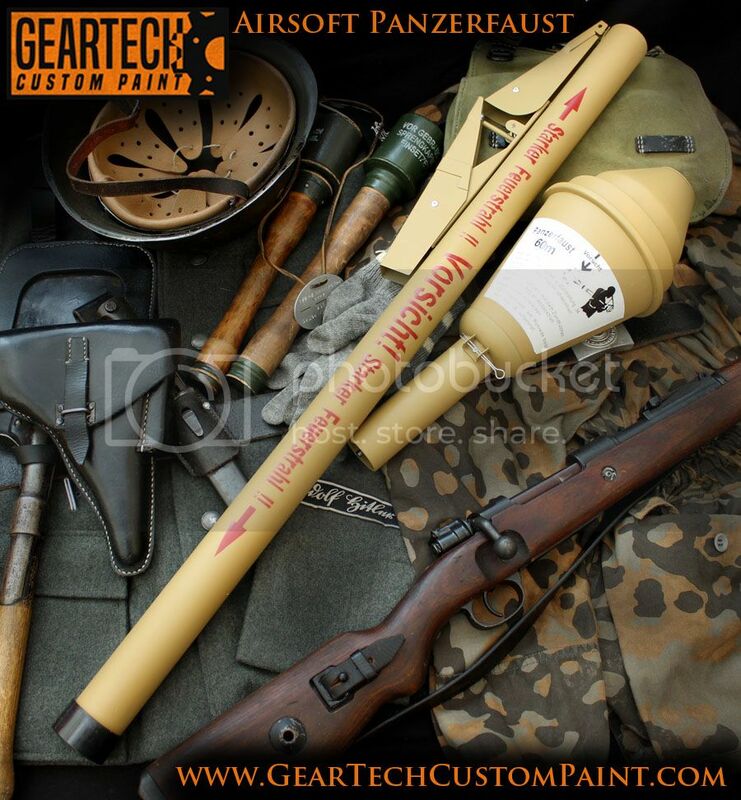 Some of the bits that are new in at GearTech. 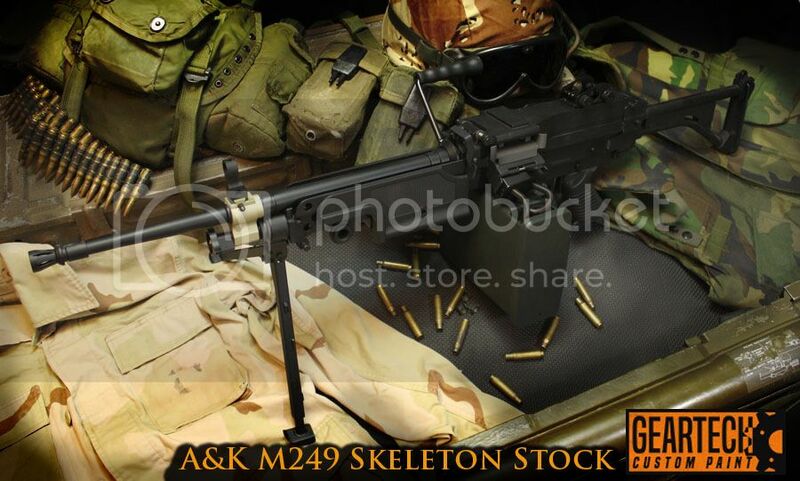 Plenty more that aren't listed yet including E&L AKs. 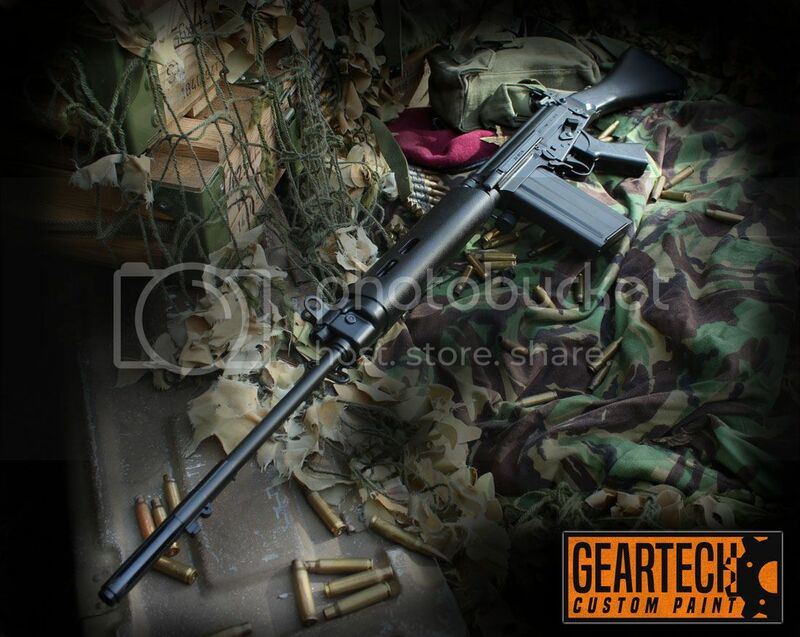 ARES L1A1s now down to £ 385 Cheapest in the UK. 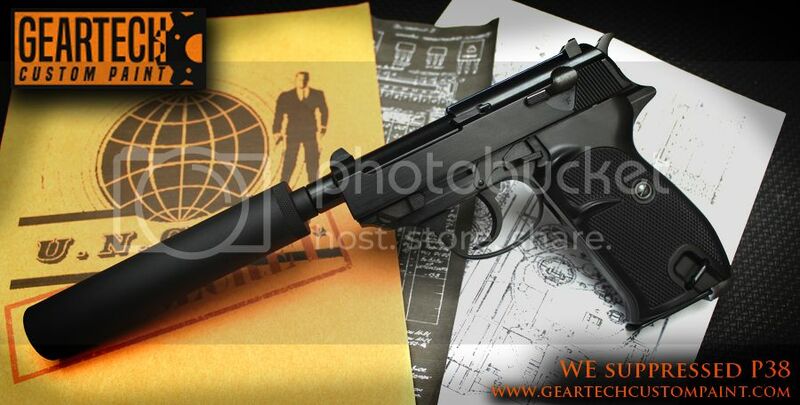 I can vouch that you're in good hands if you order from GearTech. Ordering was fast painless and Chris is quick with responding to enquiries. 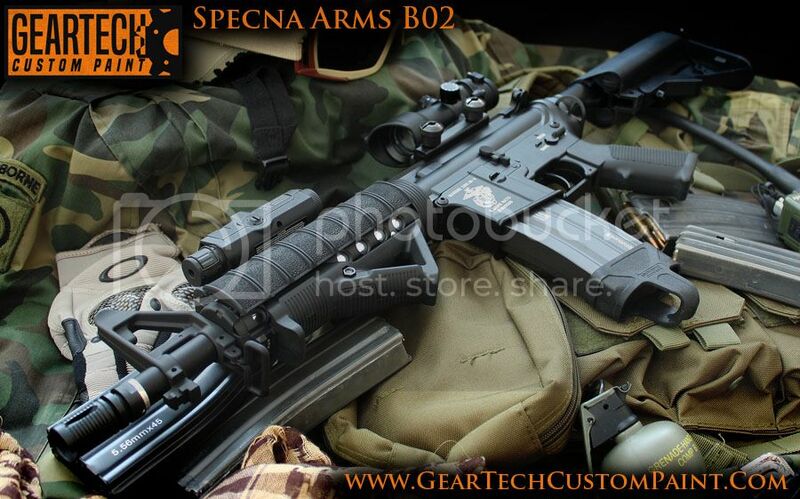 I ordered a Specna Arms SA-B12 (pictured in my avatar!) from him and it arrived very quickly. Thumbs up from me - I'll have to get one of his paint jobs on the next gun I buy too! Now for something completely different. 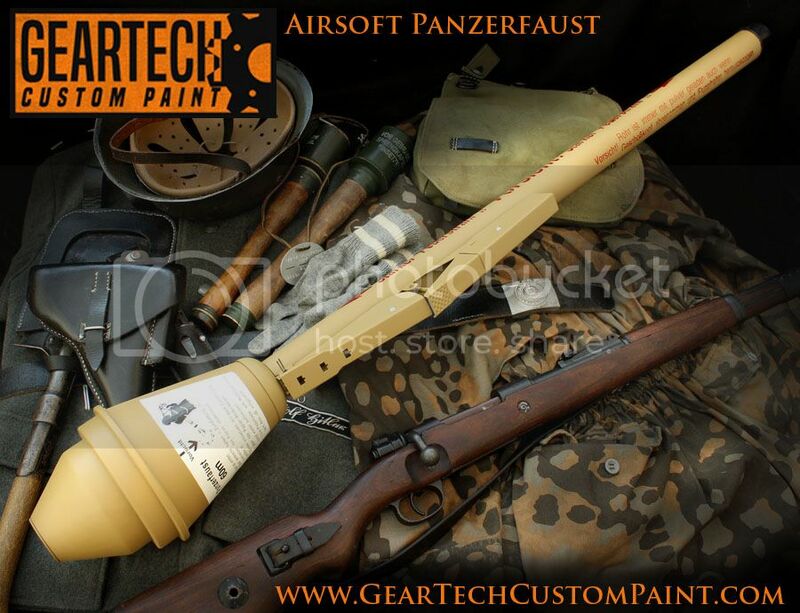 Airsoft Panzerfaust. 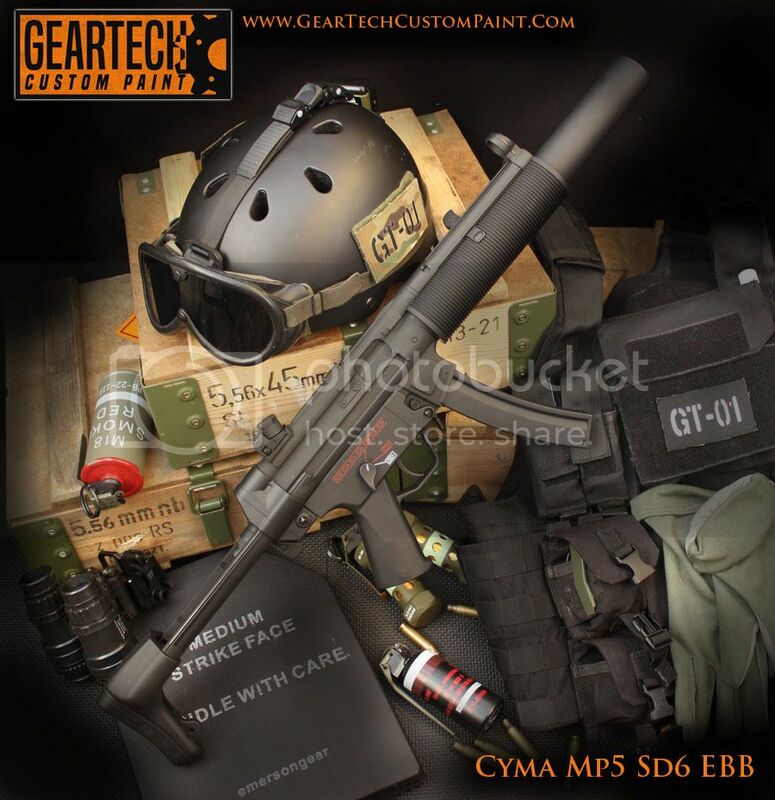 Dummy war head takes either BB 40mm grenades or Tag rounds. Complete with logos and German instruction sheet on dummy warhead. 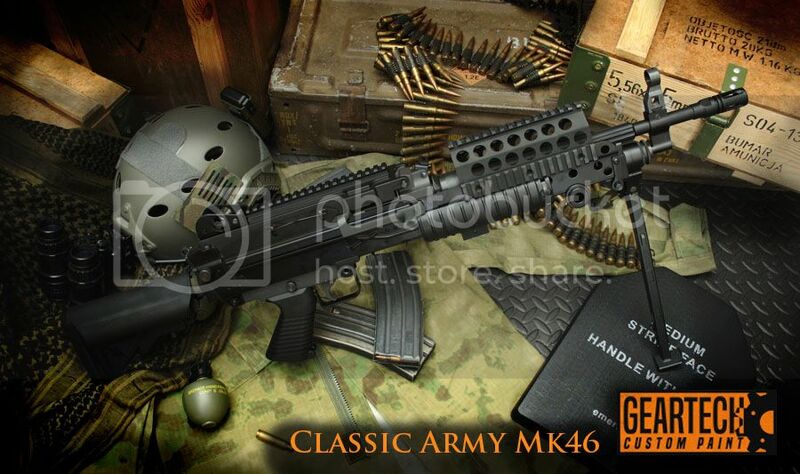 Great for private battles when used in conjunction with Tag rounds. £200 Will be doing a video of this when I get chance as pics don't do it justice. 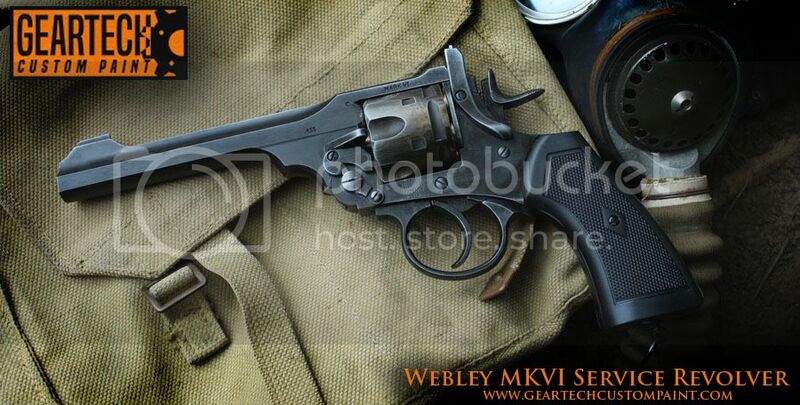 Purchased a AW Custom pistol off Geartech and cannot praise their services enough. Haven't fired it yet but it seems like a great pistol, communication was great, bloke did what he promised when he said it would happen. 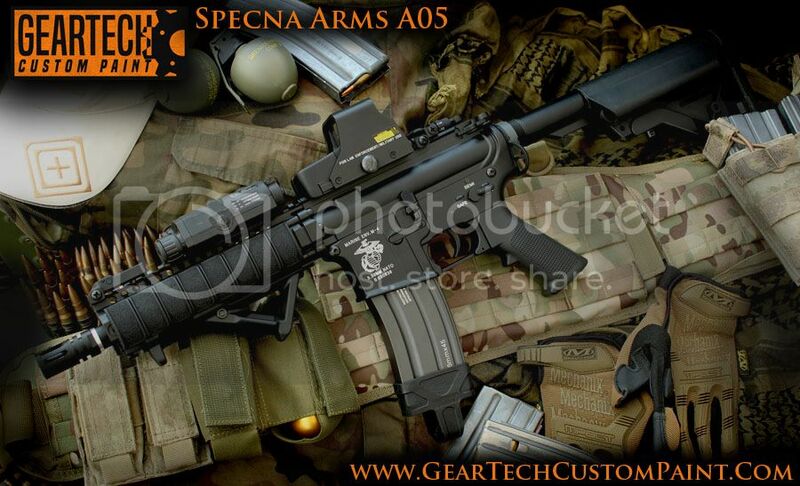 I will definitely be buying more off geartech in the future, I cannot wait until I get a custom paint job. These may be of interest to forum users. Just got them in from one of our suppliers. Have tested the lenses, shot from 2 feet away at 502fps. 3 shots to the same lense. No cracks or splinters. Have tested the lenses, shot from 2 feet away at 502fps. 3 shots to the same lense. No cracks or splinters. Does this match their ratings? Pics showing the £125 option on the helmets. Not a full custom paint job but weathered to bring out the detail and give it a bit more depth. Also shows how the helmet started out as the £95 option. 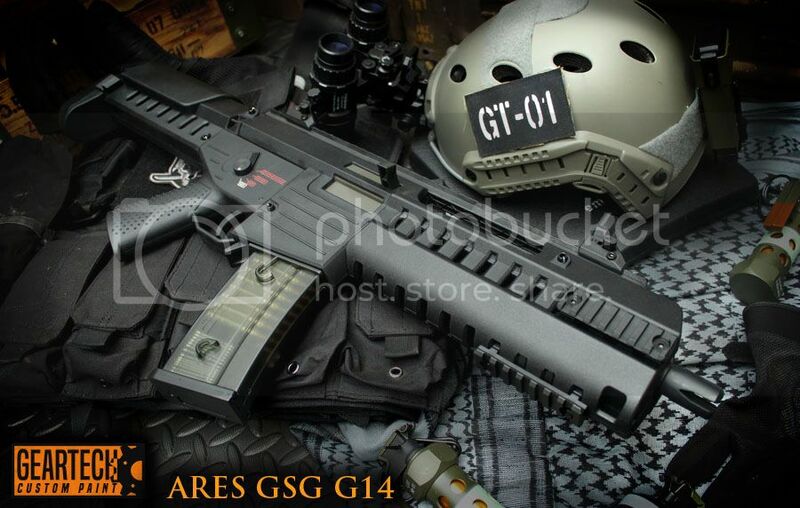 Guns: WEG17 custom. FNX FNX. 45. 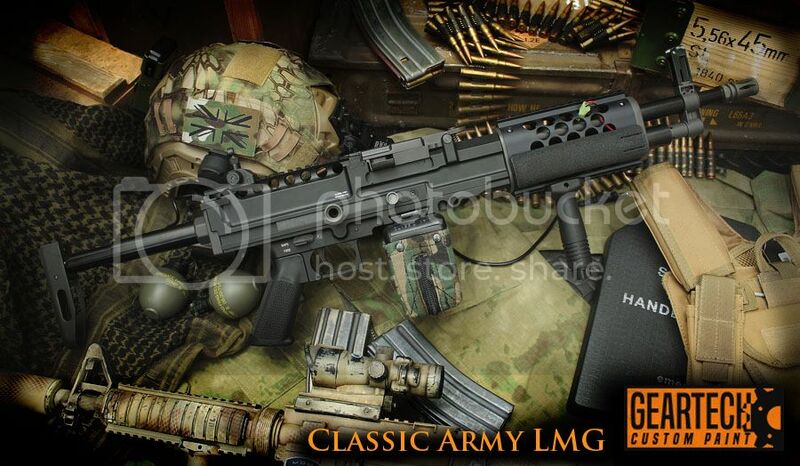 G&G Heavy Bolt M4. 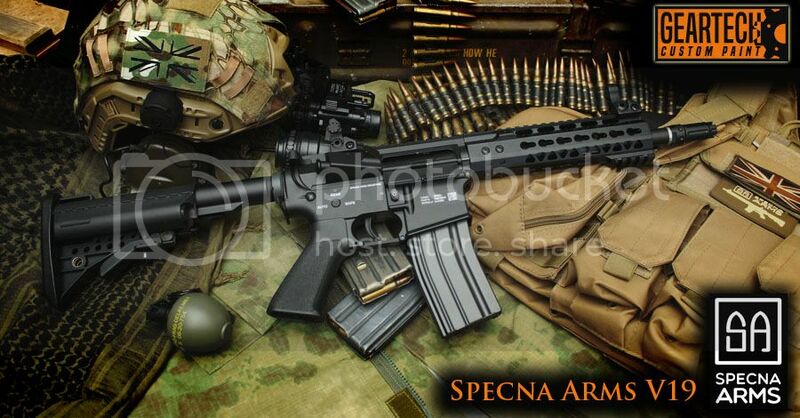 Lots of new Specna Arms models due in this week. More models due in the week after. Give me a shout if any catch your eye. 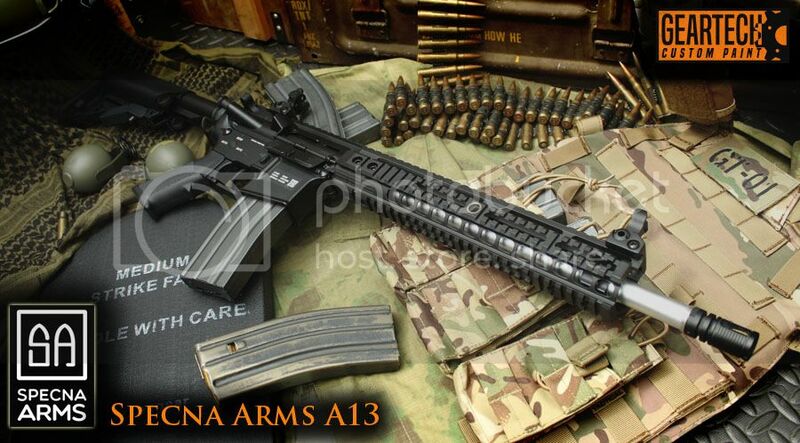 Is that a VFC oem?